It was just 7 years ago that Dutch archaeologist Josephine Joordens of Leidens University noticed the scratchings in the mussel shell above. The faint etching of zigzags was found among a trove of fossils excavated in 1891 by Dutch paleoanthropologist Eugène Dubois and dated to at least 430,000 years old. The implications of this are huge! Based on discovery of South African cave paintings made 70,000 to 100,000 years ago, the ability to create geometric art was thought to have begun with Homo sapiens and to mark behavioral modernity and cognitive uniqueness that later blossomed into creativity. 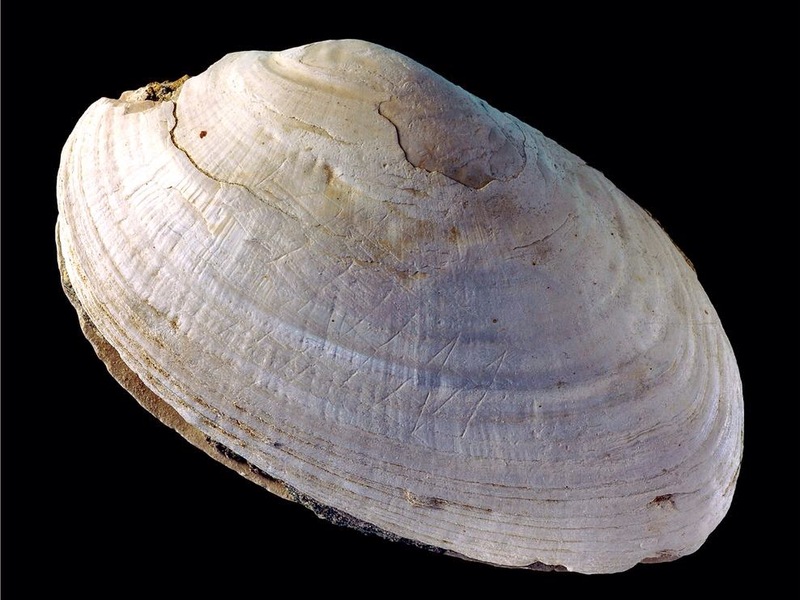 But the markings on the shell were deliberately scratched by Homo erectus. Remarks American paleoanthropologist Pat Shipman of Pennsylvania State University, "This raises the big, hairy question of what is 'modern human behavior' all over again."